For The Latino Household: A Game of UNO this 4th of July - Fueled by chile, frijoles & tortillas. For Spring Break, we recommended a game of Mexican Loteria for the entire family. While it’s still a great game for any occasion, this Fourth of July we’re adding another family favorite to the list of pastimes for any household: UNO. Yes, UNO… as in the card game! A game of UNO for the entire family. 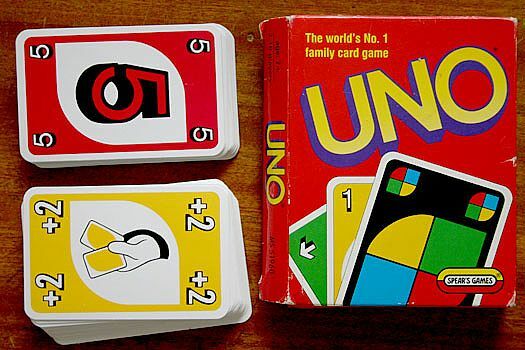 A little known fact here: UNO is an American-made game that was originally developed in Reading, Ohio in 1971 by Hungarian immigrant Merle Robbins. The barber was debating the rules of another game (Crazy Eights) with his son, who was a schoolteacher, when he developed a new deck of cards for what eventually would become UNO. Initially, Robbins would sell his deck of cards for UNO exclusively at his barbershop, but eventually he sold the rights to his game to International Games for $50,000, plus royalties of 10 cents per copy. Today, the game is owned and distributed by Mattel. Happy Fourth of July Gente! !